Ghost Signs | Historic Jacksonville, Inc. In the late 1800s Jacksonville was the hub of Southern Oregon’s commerce and government. During this “exuberant period of American capitalism,” some of Jacksonville’s brick buildings also doubled as billboards featuring large painted signs promoting local businesses. When ownership changed, a new sign might be painted over an old one. 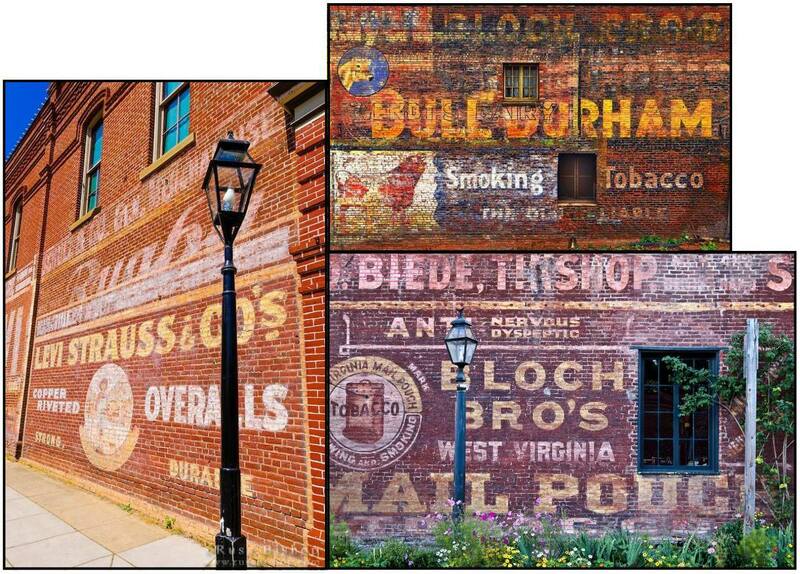 These historic brick business ads, known as “ghost signs, were painted by “wall dogs.” Wall dogs, who were usually itinerant sign painters, were a unique combination of muralist and rock climber. Their designs and execution were done by hand while the painter hung from the side of the building. Each wall dog typically mixed his own paint formula, but all formulas contained large quantities of lead—the element that has ensured the survival of these ghost signs to this day.